finish up with some more learning about the Algol eclipse and binary stars in general. As I started preparing for more measurements during the regular eclipses, I put my recent gift book on The Caldwell Catalog on the bottom of the book stack and removed two books near the top which applied directly to measuring eclipsing binaries. 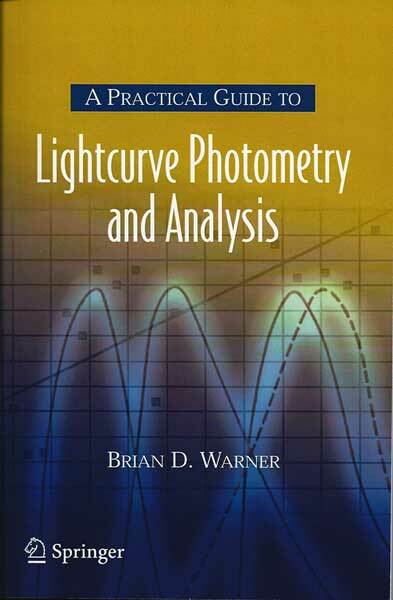 First a very good reference book on light curve measurements is "Lightcurve Photometry and Analysis" by Brian Warner. I find this an excellent source of very practical tips on taking light curve measurements and then through analysis turning that data in models that describe the orbit details and masses and sizes of the stars in the binary pair. All of this can be learned, remotely, just by the light from the stars, especially when the spectra of the stars is used to elicit more details of the orbiting stars. If you are interested in doing any lightcurve studies, this is the best introduction, other than the textbook by our own OCA Secretary and Author, Bob Buchheim's "Astronomical Discoveries You Can Make Too!". Thank you for all your support, Bob! After my first attempts of doing some light curve study outlined in Bob's book, I knew I had to dig a little deeper and Warner's book is a great way to do that. He also describes the process by which the binary pair's orbital parameters and masses can be determined and modelled and compared with actual measurements. He has many examples using MPO Canopus, which is the new software and I plan to learn for these types of analyses. The other book that came off my large and growing stack of books is a textbook which I have used now for a couple of years and keep going back to when I want to review or dig deeper into some astrophysics topics. 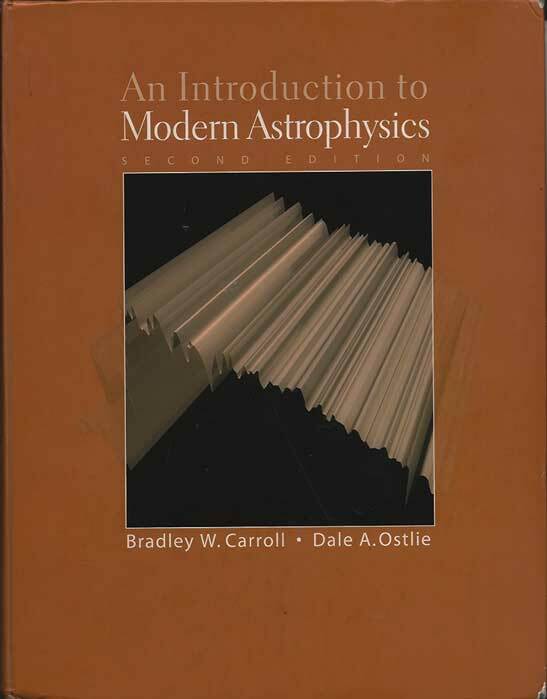 That book of over 1300 pages, "An Introduction to Modern Astrophysics" by Carroll and Ostlie, is to me, one of the best ways for amateurs and physicist wannabes to come up to speed on the topic. It is also a good starting book for other astrophysicist wannabes, like new OCA member and Just Retired Semiconductor Physicist, John, who I also recommended it. Good luck and good study, John! But the main reason I bring up that book now is because of some analysis described there which explains how it is possible to account for the extinction of light as it passes from a star through the Earth's atmosphere and how we can compensate for that effect. Remember that the problem of reporting the magnitude of variable stars or binary stars during eclipses is that different observers will see different number of photons from the same object because they have more or less atmosphere that absorbs or diffracts some of the photons, resulting in different measurements for different observers. What to do about this? 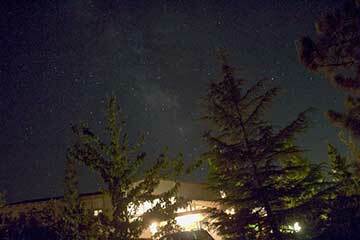 Well, we can compensate for the different amount of atmosphere through which each observer looks. Refer to the figure below. Light from an object directly overhead is seen to pass through the least amount of atmosphere and objects closer to the horizon suffer more effects of atmosphere. 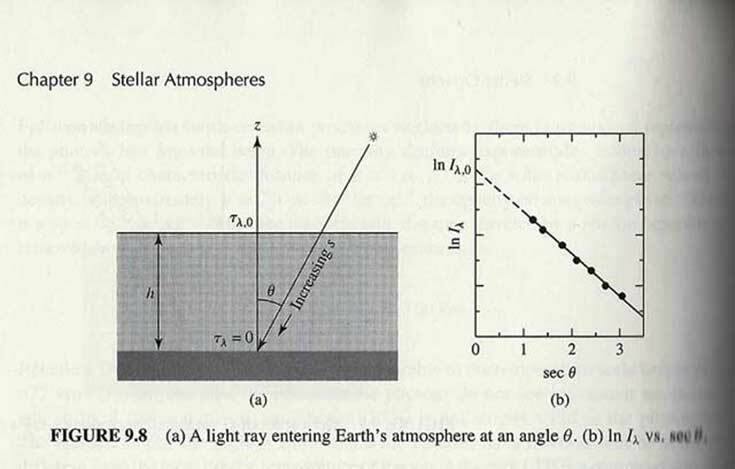 So, the goal is to remove those effects and report the number of photons just as they would exist right at the top of the atmosphere, shown in the figure as point h, directly overhead. Because of the way that light is attenuated as it passes through the atmosphere, which depends on the distance and air density, we can make several measurements of the object as it rotates overhead and plot the light curve for those instances. Then as shown in figure at the right, plotting the light intensity versus the secant of the zenith angle we get a straight line on a log scale. Then, surprisingly, we can determine the amount of extinction and the light intensity that would be measured at the top of the atmosphere, just by extending the plotted line until it intersects the y-axis. To me, that is pretty neat in that just by making more measurements from the ground, we can calculate what the light intensity would be if measured high above the atmosphere. How neat is that!?! For the rest of the details and the differential equations corresponding to light absorption and extinction, check out Chapter 9 and other chapters in the textbook. Ok, ok, enough of astrophysics for now, at this year end, let's recall where and what was going on, just one year ago. I just looked back in the blog archives to get a sense as to what we were doing then. You can look back in the blog archives too, just by going to www.palmiaobservatory.com and clicking through the Blog Archive, located on the right hand side of the screen. Learning to be an amateur astronomer takes a long time and many lessons have to be learned along the way, but looking back enables us to see that progress, often slow and painful, is being accomplished.. Some things that I noticed right away in looking at the archive, was that as seen in December 3 and 17, 2015 posts, this was a time of change at the observatory. Astronomer Assistant Ruby had just arrived and was threatening to destroy the place with her incessant chewing. Our first attempt at using a low cost, laboratory bench mounted, fiber optic spectrometer to measure star spectra failed due to one Resident Astronomer (me) failure to calculate the required sensitivity correctly. As a result of this error, a new Lisa spectrometer was put in the capital budget plan for 2016. January 4, 16 and 22, 2016 posts reported some of the first attempts at trying to do astrometry. Using images of the Big Dipper and Polaris to see if these well known objects could be identified just with the help of an online star chart. The first attempt at making a magnitude measurement was with Polaris, because the weather was so cold and the mount battery died and so, since alignment with Polaris was in view and became the target. See, we can turn adversity into opportunity. It is also surprising to see that we have been trying to learn the ins and outs of doing astrometry and finding the RA and Dec of various objects by our own measurements for over a year now and yet the learning opportunities and fun opportunities continue still today. Should it have taken this long? The January 22, 2016 post also had an unsuccessful attempt to capture another image of the "plane in the moon." The plane is shown just offside the moon's glowing image. If you want to check out the image showing the actual plane in the moon, check out the successful attempt in the October 29, 2015 post. 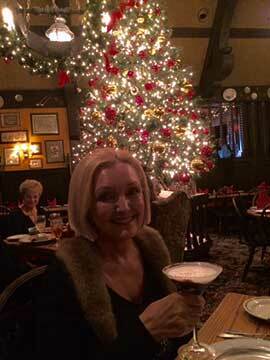 Finally, Resident Astronomer Peggy and I had a dining adventure this week. We have known of Gulliver's Restaurant, across the street from John Wayne Airport, for years now, but seldom considered eating there because it seemed a little too fancy and expensive for our tastes, but our Neighbor, Audrey, mentioned that they just came back from lunch there and they had a fantastic meal. So, we decided to give it a try for lunch also. We were in for a real treat, with great food, great martinis, great service, even with the cost of the lunch about what we would have paid for dinner out. We had a great time, so be sure to try something out of the ordinary, either in food or astronomical activities in the coming year, as you might be presently surprised also! Thank you for everything, Peggy!